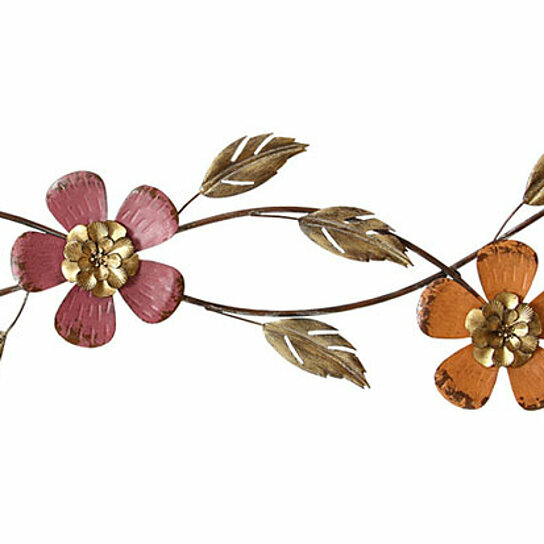 Bring style to your wall space with the gorgeous Stratton Home Decor Floral Scroll Wall Decor. Its unique look makes it an eye-catching accent piece for any room. This wall decor is fun and pretty. Display it among contemporary or rustic pieces for a chic look. Care instructions: Wipe clean with damp cloth. Material: 100% Metal. Color: Multi .